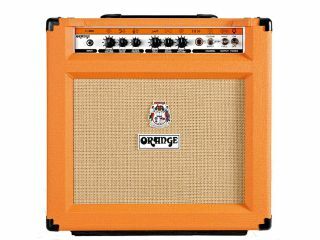 Ever since the AD30 arrived in the late '90s there's been something a bit special about EL84-loaded, 30-watt Orange amps. The TH30 combo, which was unveiled back in January at Winter NAMM 2010, promises to combine elements of the Thunderverb, Dual Terror, Rockverb and Rocker 30. So how does it sound? And what do we think of it? Well, to find out you can check out the video overview above and read the full, in-depth Orange Thunder 30 Combo review, both courtesy of Guitarist magazine. In addition, check out the video in HD on Guitarist's YouTube channel.